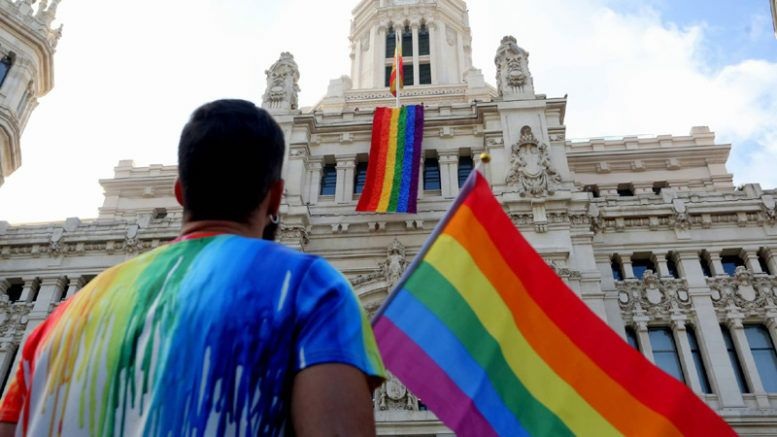 According to the Observatorio’s “2017 Report on LGTBfobia”, a total of 321 instances of criminal behavior, administrative offensives, discrimination and public slurs against LGBT individuals in the Madrid community were recorded in 2017, up from a total 240 the year previous. In presenting the report, Observatorio project director Rubén López said the harassment and assaults registered are just the “tip of the iceberg”, as many individuals do not come forward to denounce such incidents. Of the 320 total incidents registered last year, verbal aggression accounted for 110, with hate speech specifically involved in 70 cases, while 57 were physical attacks and 27 involved threats to the safety of individuals. More than a quarter of the incidents occurred in public, according to the report, with 59 involving aggression on public streets and 29 cases involved physical or verbal assault on public transport in the Madrid community. Hate speech and threats via the Internet accounted for 51 cases registered with the Observatorio. Overall, individuals between the ages off 18 and 30 years suffered the most argression, with 20-24 year olds most targeted for assaults and abuse by straight individuals of the same age demographic. The Observatorio is an umbrella project of a number of LGBT associations in the Madrid community, coordinated by Arcópoli, the LGTB+H Association of the Community of Madrid and the Complutense and Polytechnic Universities.